If you are in Kona or Waikoloa or any other area on the island this tour takes in more stops in the Volcano Park than any of our other tours. 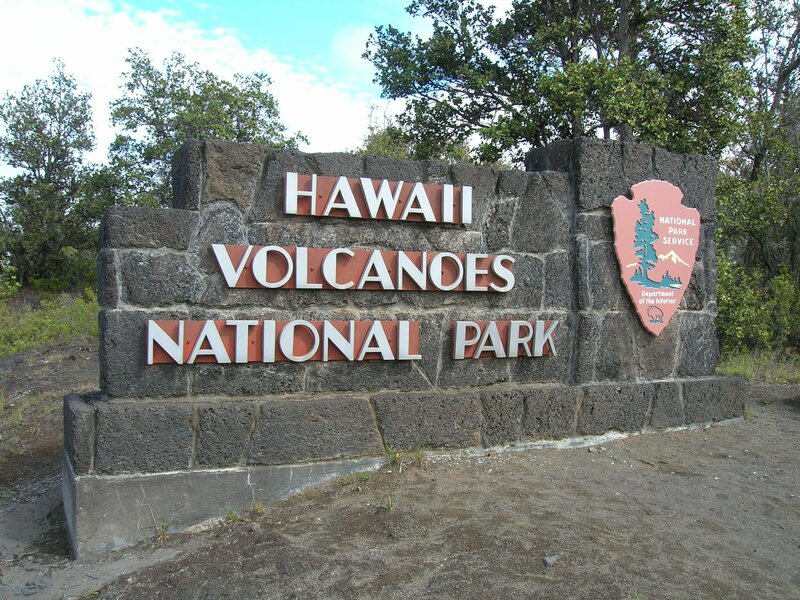 You will drive to the Hawaii Volcanoes National Park where we will meet you at the Park Visitor Center and then we will give you a break from driving and show you hidden areas inside the Hawaii Volcanoes National Park. You will ride in our vehicle as we show you the Volcano Park from the top of the park at 4000 foot elevation all the way to the ocean to see a sea arch. Along the drive we provide bottled water, and some snacks to enjoy. Mauna Ulu 1969 to1974 Lava flow where you can walk out on a past lava flow. We will see some of the different formations including Tree Molds, Ramparts, Lava Tree and a fissure. Steam Vents – We will stop and you can walk right up to one and feel the heat. We will walk to the crater rim which is where the steam bluff is and where a 400 foot drop off to the Kilauea Caldera offering another great view of the volcanoes main caldera. Chain of Craters road to the ocean where we see beautiful views, past lava flows and see the sea arch as well as the steam from the current entry point into the ocean 4 miles away. $280 up to 4 guests. $350 5 or 6 guests. $450 7 to 10 guests. Ready to book or need additional information please fill out our Booking / Information Form to reserve your tour or request additional information. You may also call 8O8-315-3097 or email tours@ainatours.com.